Pack of approx 40 seeds for indoor or outdoor sowing. 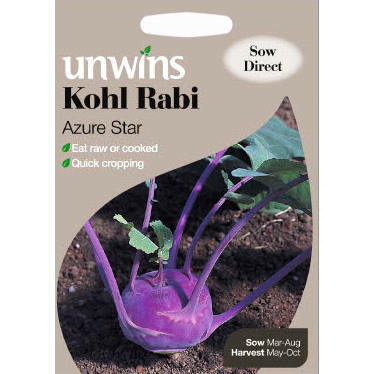 Grow these stunning purple Kohl Rabi for their looks, flavour and their versatility. This is the earliest blue leaved variety and sets a new standard for excellence in every way. The crisp, juicy lilac bulbs don't go woody and taste delicious raw or cooked. 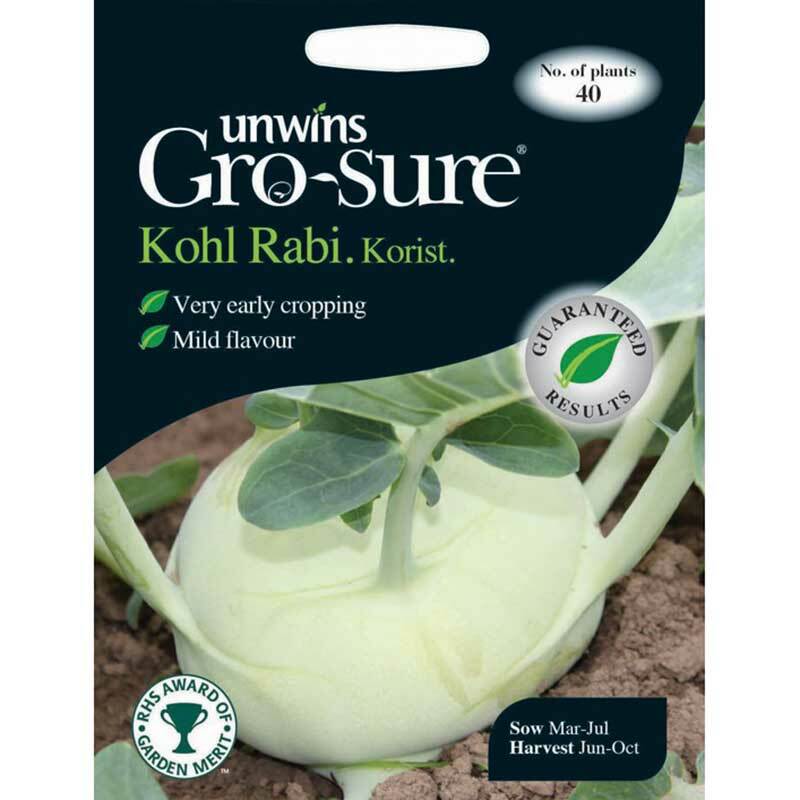 If you would like further information about Unwins 'Azure Star' Kohl Rabi Seeds, please contact our garden centre at Shawbury just outside Shrewsbury in Shropshire, by calling 01939 251315 or emailing.